Why, you might ask, would anyone brand a seaborne vacation an "Un-Cruise?" Well, consider most people's perceptions of what a cruise is all about: old folks playing shuffleboard, endless buffets, gaudy entertainment, and dealing with crowds. Mega cruise lines have even made the ship its own destination, a massive resort hotel at sea with a carnival atmosphere of waterslides, wave-surfing pools, shopping arcades, casinos, Las Vegas entertainment, and cavernous dining venues. Is there a shore component? Sure, shared with thousands of fellow passengers, and maybe including a visit to the cruise line's own artificial island. There's nothing artificial about Un-Cruise Adventures, certainly not a lot of contrived, man-made entertainment. And its ships definitely aren't glitzy, more like laid-back comfortable. 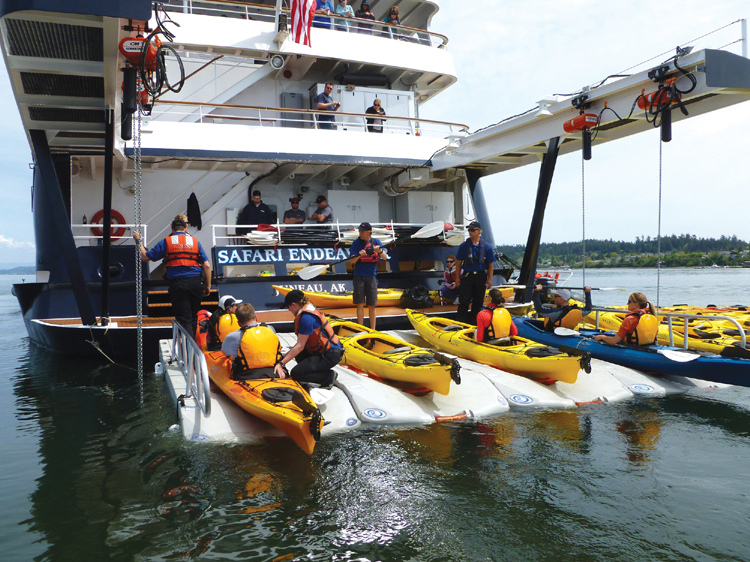 This style of cruising is meant for the person who is primarily interested in the natural aspects of a destination--its wildlife, geology, culture, and history--and enjoying all this amid the camaraderie of a small group of like-minded folks.